The Art Nouveau movement was a bridge between Neoclassicism and Modernism and reached it’s popularity from 1890 to 1905. Luminary artists such as Alphonse Mucha, Gustav Klimt, and Henri de Toulouse-Lautrec; glass designers Rene Lalique and Louis Comfort Tiffany, and Spanish architect Antoni Gaudi among others used long fluid lines inspired from florals and plants in their work. 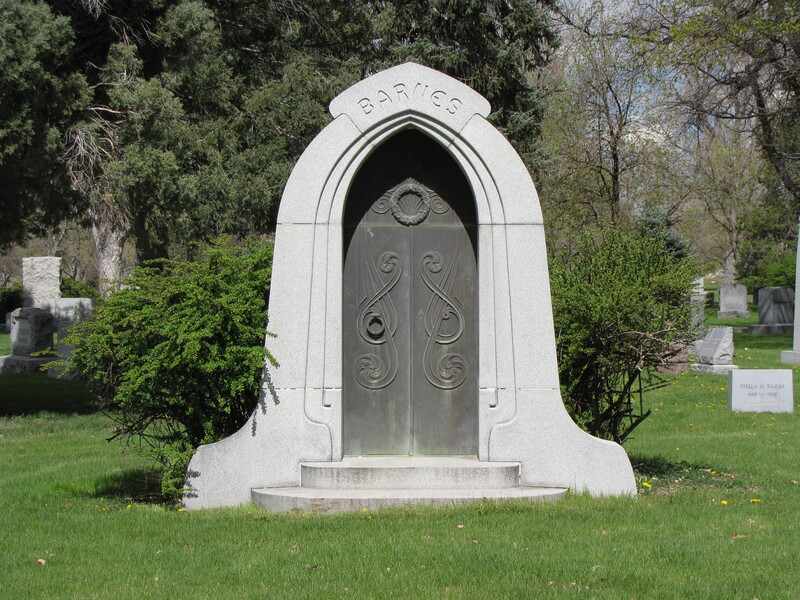 The Barnes Mausoleum in the Fairmont Cemetery in Denver, Colorado, though, fairly simple in design has a curveous outline with the cast bronze doors as it’s focal point. 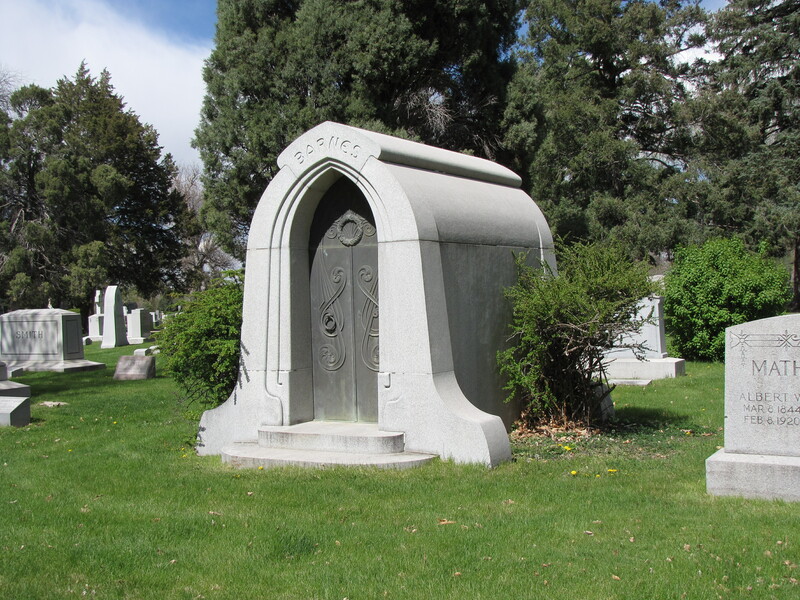 The flowing design spirals around the doors punctuated with a laurel wreath at the top of the doors–a motif sybolizing victory over death through immortality.